What is a Good Interchange Plus Rate? Getting a low interchange plus rate is important, but the rate is just a drop in the bucket. Asking the question “what is a good interchange plus rate?” is like asking the question “how much does a car cost?” Neither question can be answered accurately without first knowing several supporting details. 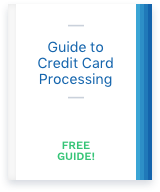 Interchange pass through pricing is a form of credit card processing pricing that allows the actual cost of processing (interchange fees & assessments) to be passed directly to your business. Tiered pricing or interchange plus? How do you know what’s best for your business?